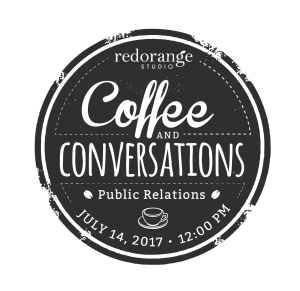 I’m excited to share that I’ll be the guest speaker for the next installment of Coffee and Conversations, hosted by RedOrange Studios. I’ll be covering some of my tried-and-true PR strategies, as well as sharing my favorite free and low-cost PR tools – you won’t want to miss it. 🙂 For more information about the topics we’ll be discussing, check out the event page. Dying to join? Complete the registration form here!